Island Watcher cannot be optionally engaged. 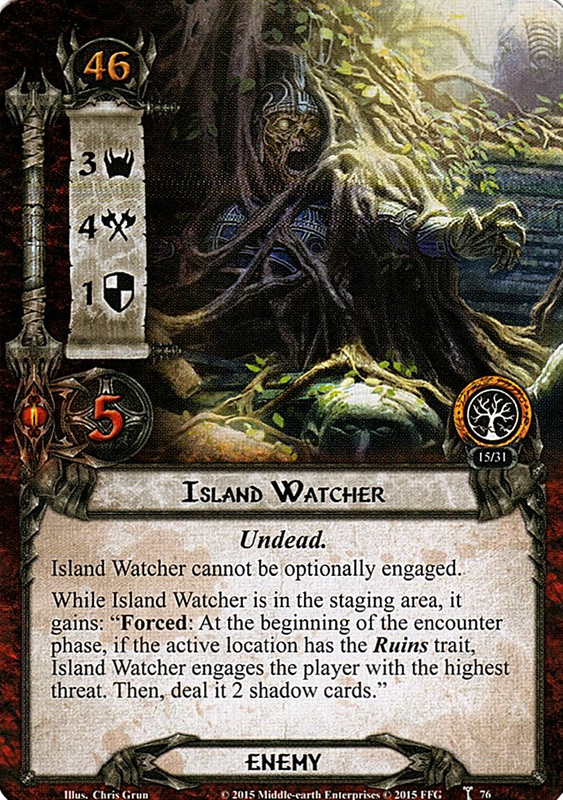 While Island Watcher is in the staging area, it gains: "Forced: At the beginning of the encounter phase, if the active location has the Ruins trait, Island Watcher engages the player with the highest treat. Then, deal it 2 shadow cards."